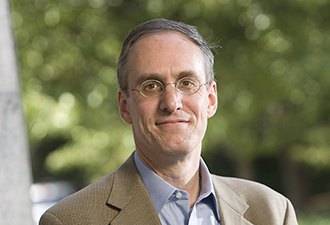 Curtis Bradley is the William Van Alstyne Professor of Law and Professor of Public Policy Studies at Duke University, as well as a co-director for the Center for International and Comparative Law. His scholarly expertise spans the areas of international law in the U.S. legal system, the constitutional law of foreign affairs, and federal jurisdiction, and his courses include International law, Foreign Relations Law, and Federal Courts. He was the founding co-director of Duke Law School’s Center for International and Comparative Law and serves on the executive board of Duke's Center on Law, Ethics, and National Security. Since 2012, he has served as a Reporter for the American Law Institute's Restatement project on The Foreign Relations Law of the United States. In 2016, he received a Carnegie Fellowship to support his work on comparative foreign relations law. He is currently the co-Editor-in-Chief of the American Journal of International Law. Bradley has written numerous articles concerning international law, U.S. foreign relations law, and constitutional law, including articles published in the Harvard, Yale, Columbia, Stanford, Chicago, Michigan, California, Pennsylvania, NYU, Virginia, Duke, Texas, and Georgetown law journals. He is the co-author of two casebooks: Foreign Relations Law: Cases and Materials (Aspen Press 6th ed. 2017) (with Jack Goldsmith), and Federal Courts and the Law of Federal-State Relations (Foundation Press 9th ed. 2018) (with Peter Low and John Jeffries). His monograph, International Law in the U.S. Legal System, was published by Oxford University Press in 2013, and a second edition was published in 2015. He is currently working on a new book, tentatively entitled History’s Constitution: How Governmental Practices Define the Separation of Powers, as well as an edited volume entitled The Oxford Handbook of Comparative Foreign Relations Law.